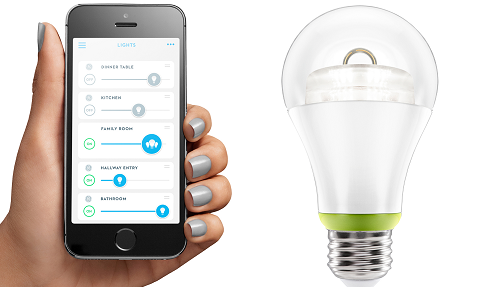 As part of the fanfare around the launch GE-backed Quirky launching Wink as a separate company dedicated to the connected home, GE is opening up pre-orders for a connected light bulb that will work with the Wink app and only costs $14.97. For a connected, white-light LED that is a crazy low price tag. The upcoming Belkin, LG and Philips Hue light bulbs that will be white-light only are between $30 and $40 per bulb and the colorful connected bulbs are in the $60 to $100 range. TCP has connected white bulbs that are between $27-$33 per bulb, and are on the market today. The GE lights will be in Home Depot stores in the fall, so I can’t wait to see how they work. Stacey, will this eventually be compatible with HomeKit (if you know)?